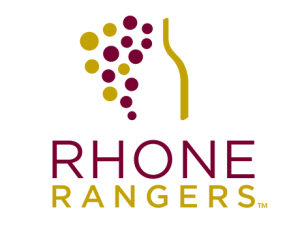 Terroirist: A Daily Wine Blog » Rhone Rangers DC: Free VIP Tickets! One of my favorites comes from Rusack Vineyards in Santa Barbara Country. Their Ballard Canyon Syrah is excellent–velvety and aromatic. Also generally love Rusack. They have a terrific tasting room/patio and are doing some important Rhone-style wine making in the new Ballard Canyon AVA. My favorite american Rhone of the moment is the Rotie Cellars Southern White. A blend of 60% Viognier, 25% Roussanne, 15% Marsanne. Cline’s Old Vine Mourvedre has always felt like a mistress, and I’m a very loyal husband. The Fausse Piste Garde Mange syrah is my winner. About 10 years ago, (in a former life when I was in the wine biz) I was fortunate enough to stumble upon Beckmen Vineyards and their Cuvee le Bec offering at a trade show. This wine was eye opening for me at the time, as I remember being shocked by its California origins. Now, it is routinely one of my lesser known “go-to” red bottles. It has a great combination of complexity and drinkability-with or without food. At the time, it was my introduction to the Santa Ynez valley, and prompted my exploration of Zaca Mesa, Rideau, and others over the years. Still, it remains a personal favorite as a CA Rhone-style wine at an amazing value. My favorite is Grenache from the Santa Ynez area, especially if its from Kaena, Zaca Mesa or Beckman! I was a big fan of the Kenneth Volk Mouvedre from the Lime Kiln Valley in California (I had the ’09). The depth of flavor helped get me interested in wines made from less well-known Rhone grapes. the Viognier ’12 from Jefferson Vineyards-love the taste and smell of all those fruits!